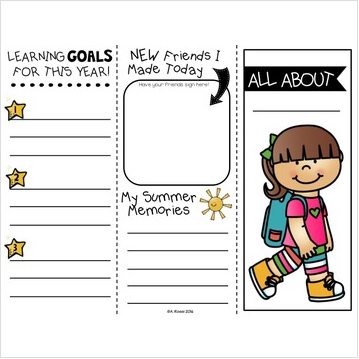 This All About Me brochure will help your students start the school year out with a bang! Your students can create new goals for the school year with this meaningful activity. They can reflect on summer activities too. This is the perfect Back to School Activity! Easy prep, just print and fold! Multiple boy and girl templates are included! Interested in more engaging topics? Check out the Year Long Bundle!